“Collaborated to analyze data on hundreds of adults – some mentally or physically sound, others suffering from various conditions such as depression, anxiety, or post-traumatic stress disorder. Participants had completed surveys about their mental health and had their heart rates monitored via electrocardiogram. Researchers used the data to conduct six different experiments. They sought to find out whether the conclusions of each study would successfully apply to participants individually. 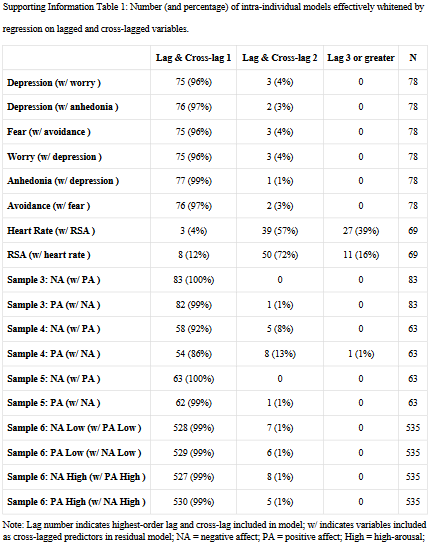 One study that focused on how frequently depression sufferers reported feeling worried. Results tallied from the pool of participants showed that depressed people worry a significant amount. But when the analysis was applied individually, the results were all over the map. Some participants worried hardly at all, while others were notably beyond the group average. Another experiment that centered around the link between fear and avoidance showed a strong correlation when measured as a group. Yet a significant number of participants who experienced fear had no issues with avoiding various activities. Obtaining convictions with epigenetic statistics? The current study highlighted the fact that people aren’t interchangeable. Assuming ergodicity is a statistical analysis flaw that produces individually inapplicable results for many measurements of fruit flies, cells, humans, you name the organism. When this presumption makes a study’s statistics useless for an individual, researchers can’t cure the analysis by invoking an “individual differences” meme. Neither is the flaw fixed by spinning a tale about “This is how we can truly personalize medicine.” The current study needed to provide evidence for its proposed solution. “Worrying is not a problem, it is the symptom of something that is occurring physiologically within the brain. What causes the worrying is the problem. The constant worry is anticipating catastrophe. But what we don’t realize is that the catastrophe already has happened; we simply have no access to it.